This month's theme over at Planet-Pulp is "The Super Action Hero Show," showcasing works based on favorite heroes and heroines of '80s action movies. First thing that came to mind was one of my favorite movie characters Ellen Ripley from "Aliens." 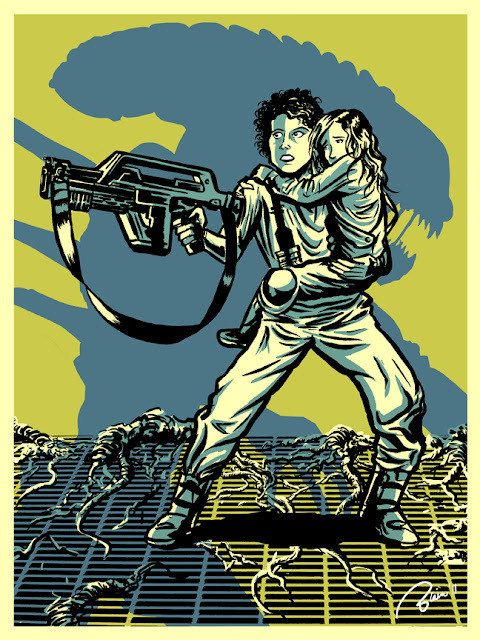 Head on over to Planet-Pulp to check out what other artists have done, including re-imagined posters of '80s action classics!